St. George real estate has numerous equestrian communities including: Veyo, Central, Enterprise, Hurricane, Winchester Hills, Dammeron Valley, Diamond Valley and the Springs Estates. 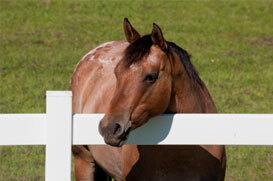 The Springs Estates is Washington County’s elite equestrian community. It boasts large estate-like homes in a community with a city park (including play ground and basketball) and pond…and the best part is that the equestrian center and riding arena is a 5-10 minute walk from any of the homes. Washington County is the home of the Washington County Regional Park, which offers equestrian events, multiple weekends per month.